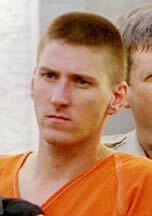 Timothy McVeigh confessed to the murders in Oklahoma City, April 19, 1995. He sought to justify his mass murder of innocent people by proclaiming it to be a politically motivated strike against a government that he believed had become tyrannical. He had no right to take the law into his own hands and to commit one of the most infamous crimes in US history. This was the worst such incident on American soil since Tom Mooney, a left-wing political murderer, dynamited a parade in San Francisco, 1915, killing 10 and injuring 50. McVeigh, unlike Mooney, derived no support for his action. Constitutionalists traditionally shun the use of violence and terror as a tactic to further a cause. Unlike for Mooney, and a long and infamous list of left-wing criminals who followed in his political footsteps, there were no demonstrations, pickets, or organized mobs screaming that McVeigh was framed. Constitutionalists, while understanding McVeigh's stated principals, considered him to be in violation of those principles, and, as a murderer, supported his execution. When McVeigh bombed the Murrah building he declared war against the government. His stated purpose was that he was unilaterally responding to the horrendous government murders at Waco and Ruby Ridge. These two brutal police actions were a declaration of war by the government against the American people and the Constitution. McVeigh, however, in his unfathomable and bizarre imagination, felt that by bombing a Federal building filled with innocent human beings, he could force a government that had previously acted lawlessly to return to its rightful place. The fact is that while he was wrong and he deserved to be executed, this evil event has proven to be, nonetheless, a wake up call to a government slipping into habits of totalitarianism. Moderation has been the order of the day ever since. The same result, however, could have come about without the needless killing of innocent men, women and children. If one lesson can be derived from Oklahoma City, it is that non-violence and the dissemination of information is always, without exception, the preferred course of political action when confronting government abuse. If enough patriotic Americans congregated, at the time, around Waco and Ruby Ridge, and if they had issued reports through e-mails and radio talk shows, as eyewitnesses to what was going on, the government would never have engaged in the home invasions. If enough attention were brought to bear, such actions would cease. Ted Turner is attributed, rightfully, with remarking that if CNN had been able to broadcast the Holocaust, it never would have happened. Exposure and dissemination is the key. Those of us who condemn the illegality and injustice of the government killing fields of Waco and Ruby Ridge, and who understand McVeigh's anger, as we reject his actions, are the exact opposite of those who supported the carnage of Tom Mooney, the sixties radicals, and other leftists who advocated and in many cases engaged in a violent revolution against America. We believe in freedom and liberty while they seek to overthrow the social order and replace it with authoritarian Communism. We condemn all violence when in the service of effecting political and social change while they invented the concept. We support law and order while they seek to disrupt it. We love our country while they are consumed by a smoldering hatred for America. We seek to maintain freedom while they seek to replace it with a dictatorship of the scientists. The action of Timothy McVeigh was un-American and subversive. McVeigh stands as an anomaly amongst those of us who support the Constitution and the American way of life and who act, politically, in such a manner that preserves, protects and defends the same. Subversion has become synonymous with those on the left who seek to smash the Constitution and have dedicated their lives and actions toward this end. McVeigh acted against the principles he claimed to represent. This is obvious to Constitutionalists. The same cannot be said about the left in their historic support for violence and terror conducted to advance "progress."